Are you the kind of dude that would say “I’m dyin’ to par-tay!”? The kind of dude that wants to throw a kegger every month, it can be fun. (We aren’t going to lie we try to have a party as often as possible here!) Or are you more of a jump out from behind the door kind of guy. The kind that scares your roommates with ever chance you get? You really got them with that last one, just how long were you up in that closet waiting to jump down on someone? That was sooooo awesome! Whichever kind of dude you are, it’s always fun to put on a scary mask, and have a blast. 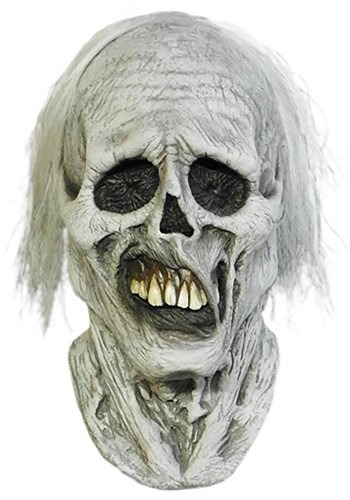 This Chiller Zombie Skeleton Mask is great for just that. You can party it up, drinking with friends, and having a good old time. Or you can take the shelves out of your fridge, and hide in there wearing this mask until one of your friends goes to grab a sandwich, then jump out at him! We would love to see that. Either way being the undead can be fun no matter who you are.